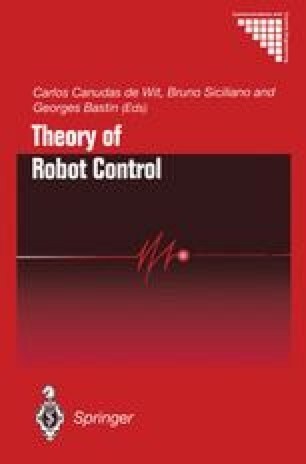 Traditionally, control design in robot manipulators is understood as the simple fact of tuning a PD (Proportional and Derivative) compensator at the level of each motor driving the manipulator joints. Fundamentally, a PD controller is a position and a velocity feedback that has good closed-loop properties when applied to a double integrator. This controller provides a natural way to stabilize double integrators since it can be understood as an additional mechanical (active) spring and damper which reduces oscillations. To this extent, the control of an n-joint manipulator can be interpreted as the control of n independent chains of double integrators for which a PD controller can be designed. In reality, the manipulator dynamics is much more complex than a simple decoupled second-order linear system. It includes coupling terms and nonlinear components such as gravity, Coriolis and centrifugal forces and friction.